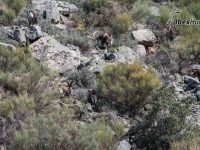 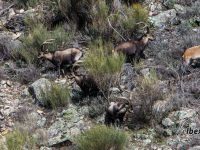 The Gredos Spanish Ibex hunt is done by stalking in Gredos Government game reserve. 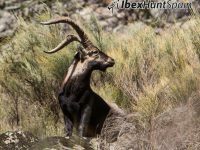 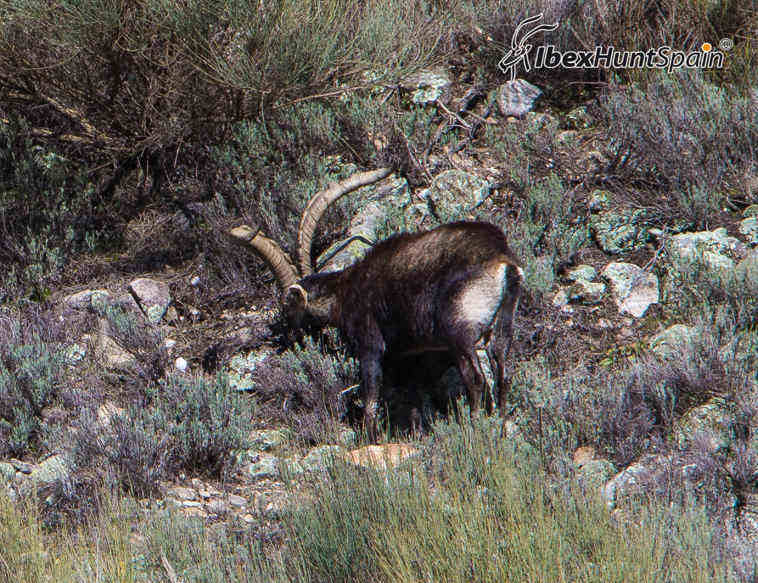 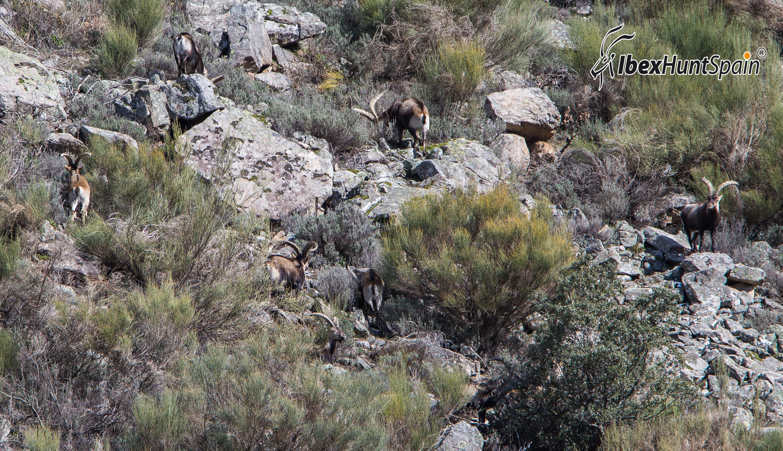 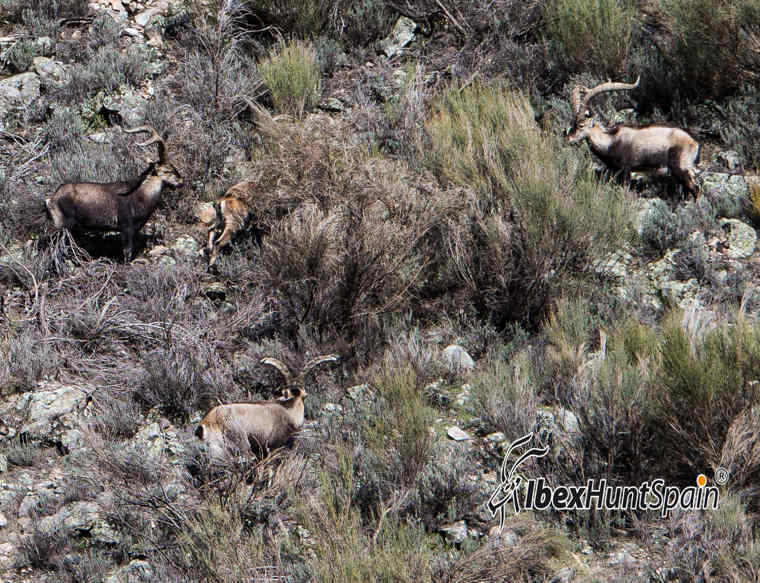 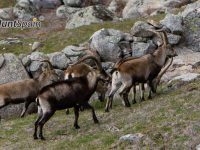 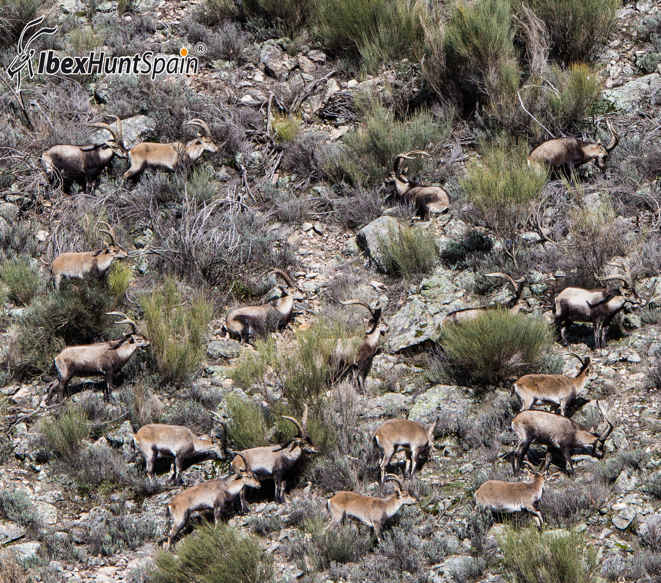 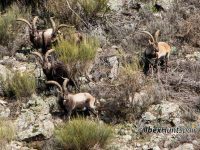 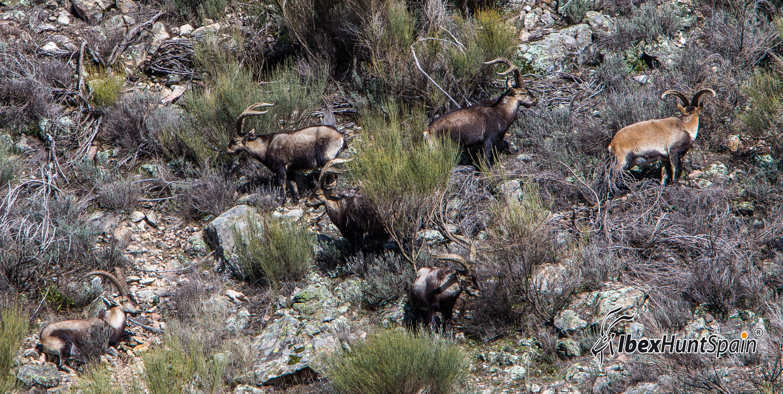 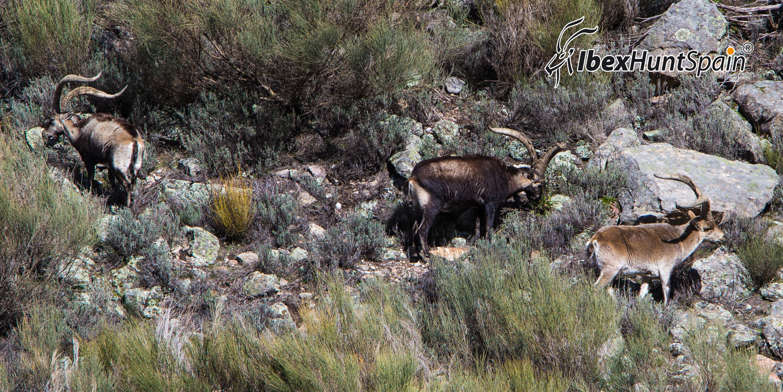 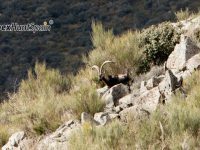 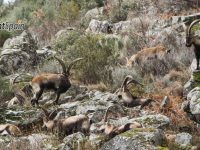 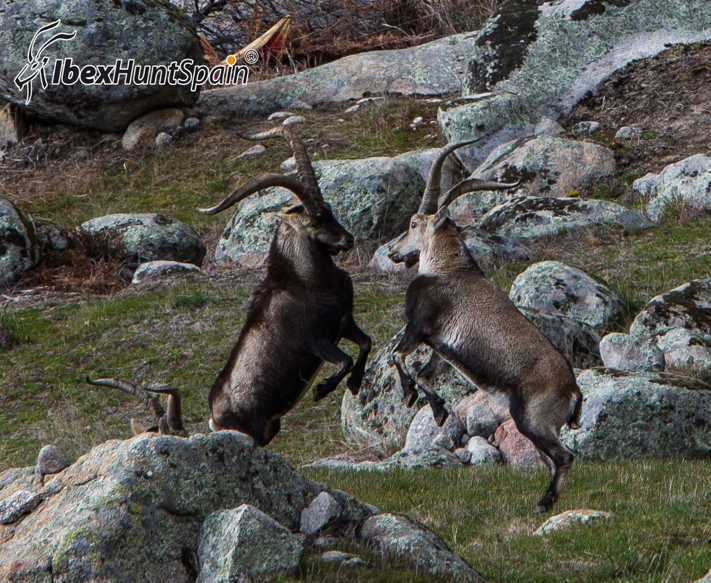 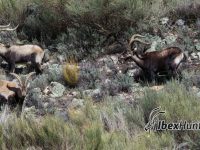 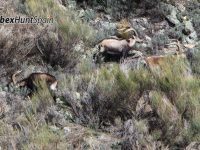 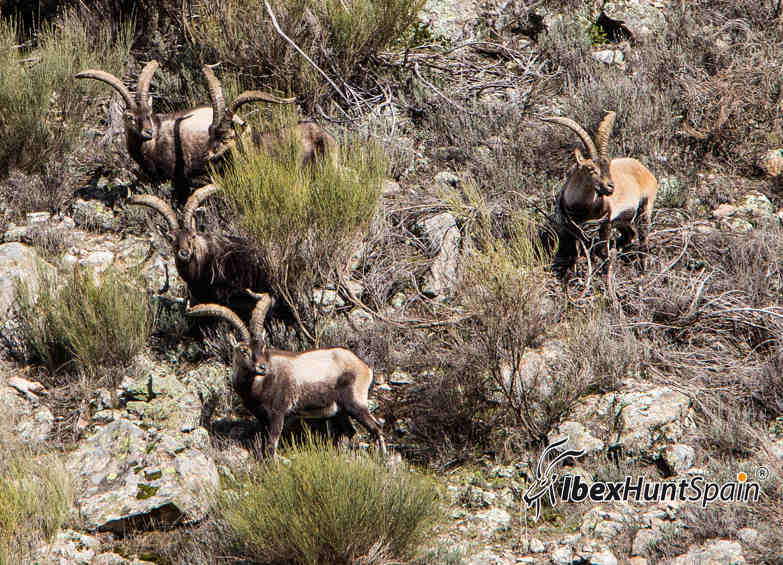 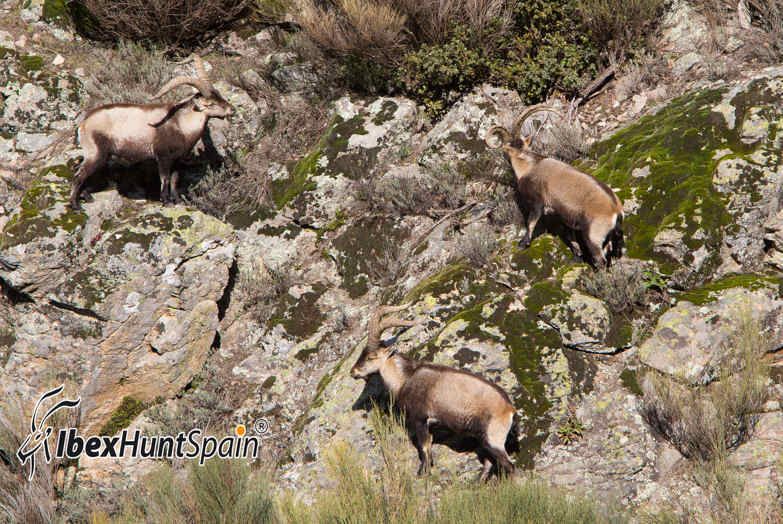 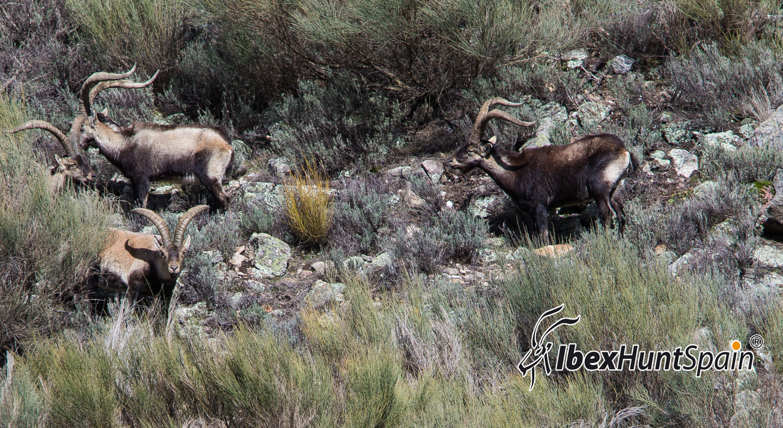 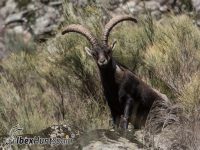 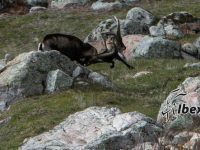 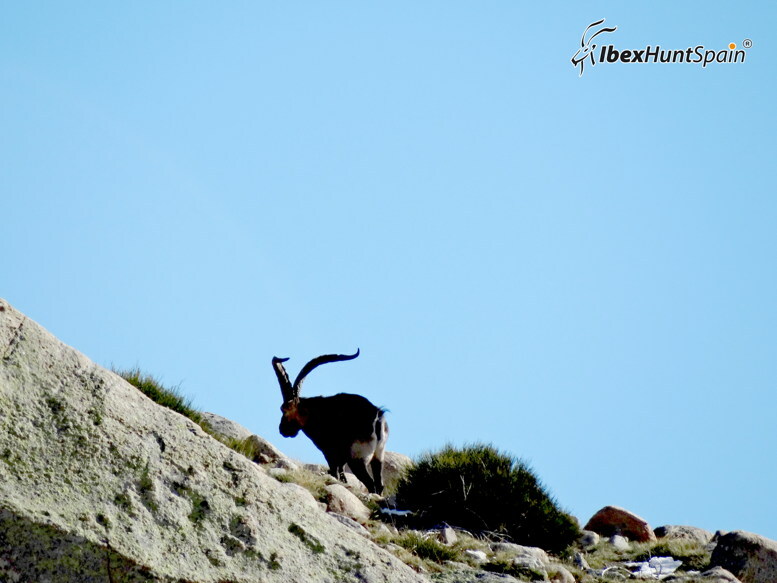 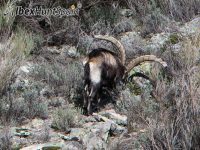 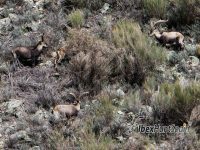 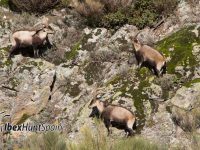 Gredos Spanish ibex hunting season is From September to May. 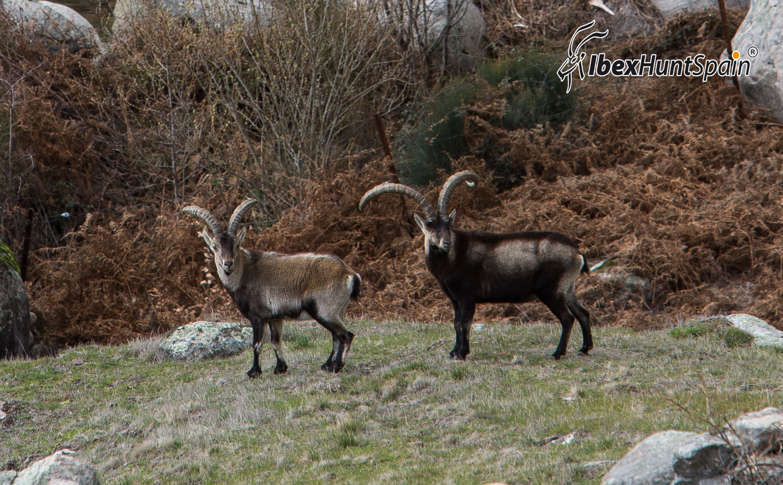 Gredos Ibex fur in summer is quite short and dark grey coloured. 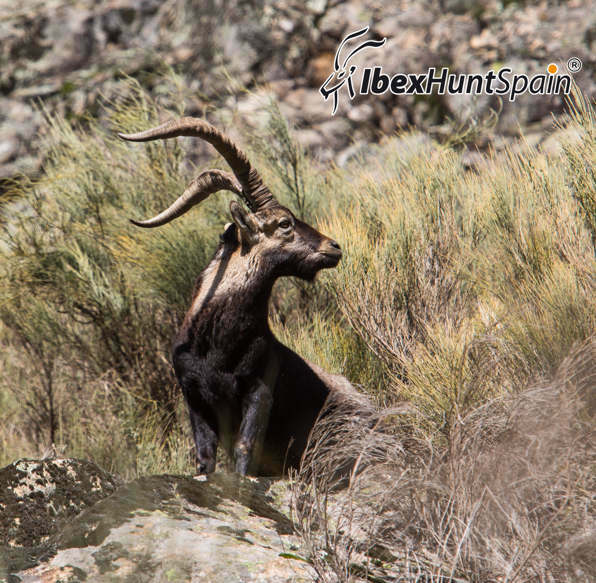 In winter, the Gredos Ibex fur is long with black marks on its back. 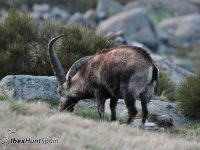 His body is strong and robust and both males and females have horns, but the female ones are smaller and the male horns are big, ringed and with a wrinkled surface. 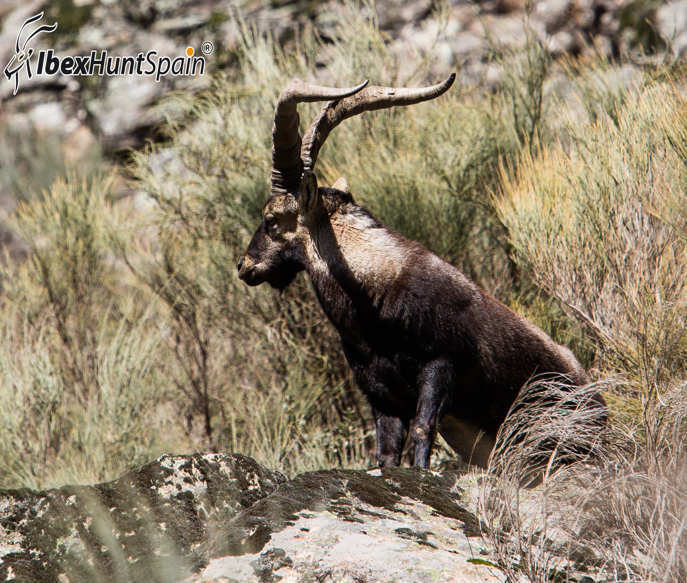 The horns rise vertically and lean out and back in a scimitar form with the tips inwards. 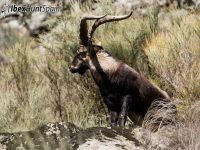 The horns grow proportionately with age, one ring per year. 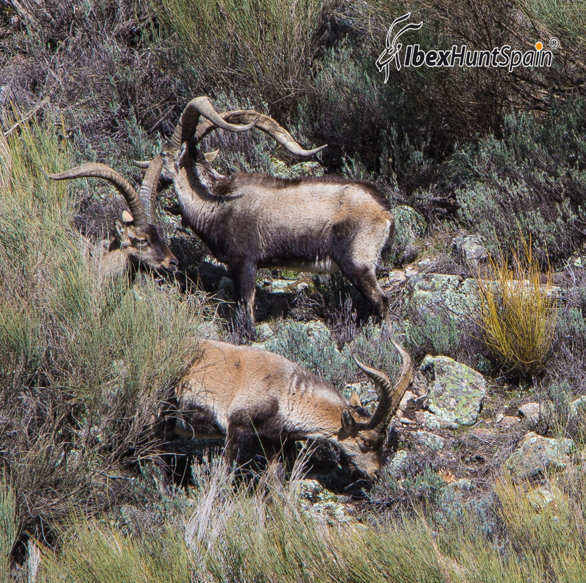 Body height: 2.46 – 3.28 ft. 75 -100 cm. From September to May. 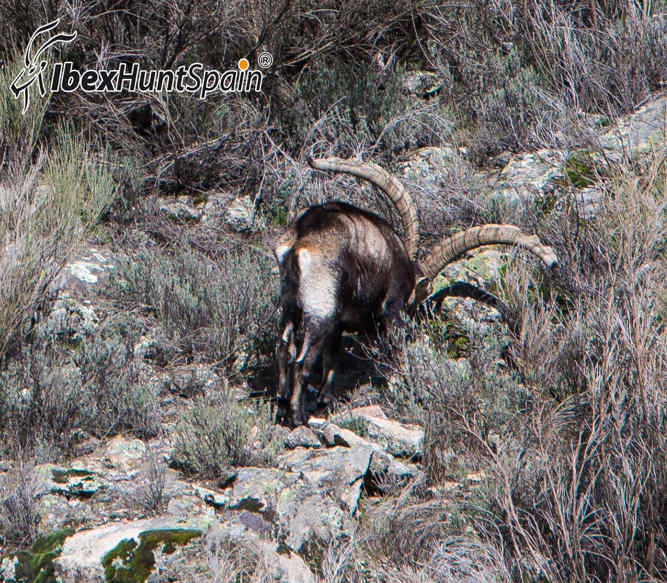 The best hunting season is from November to March. 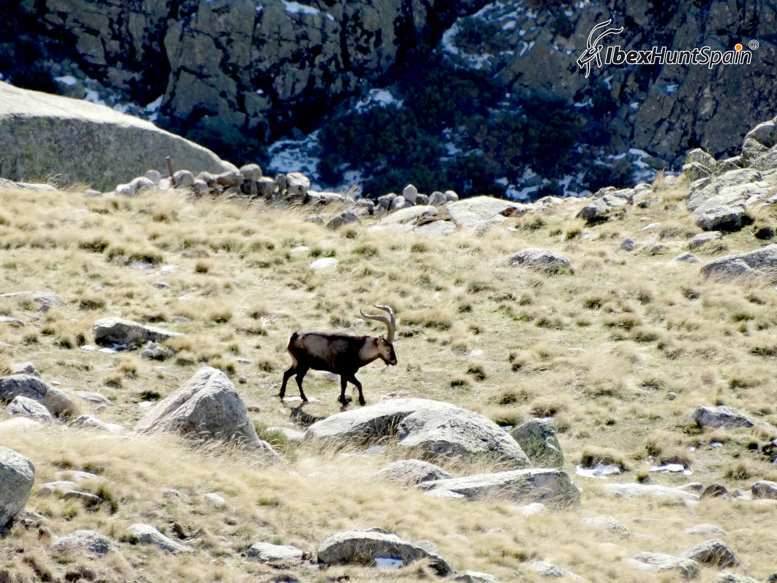 Central Spanish mountains (Sierra de Gredos). 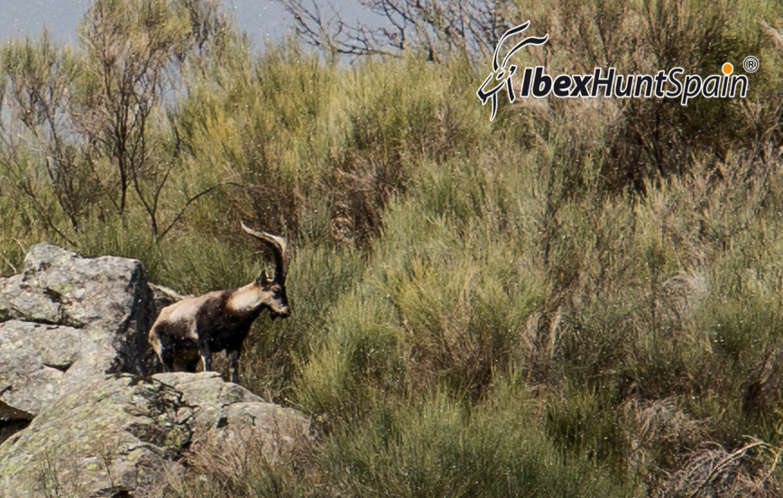 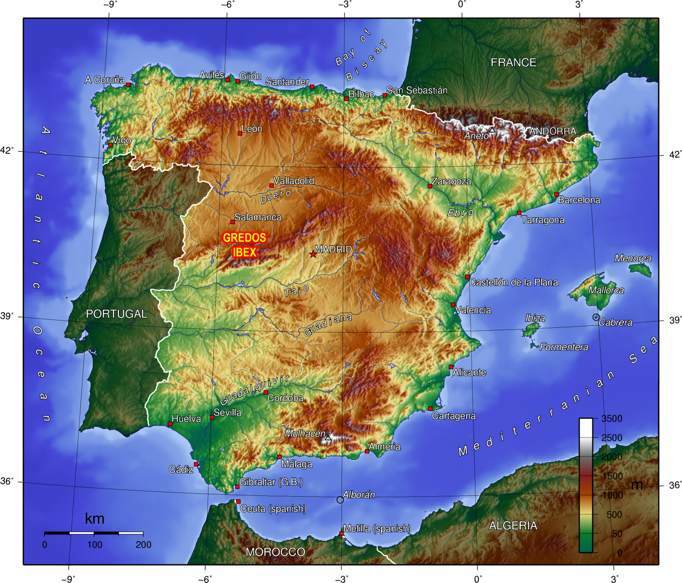 The hunting area is at least 3 hours from Madrid airport. 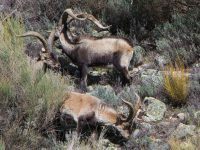 Rocky mountains between 4.900 – 9.850 ft 1500-2500 m.
Male horns are big, wrinkled and ringed, rise vertically and lean out and back in a lyre form, with the top inwards. 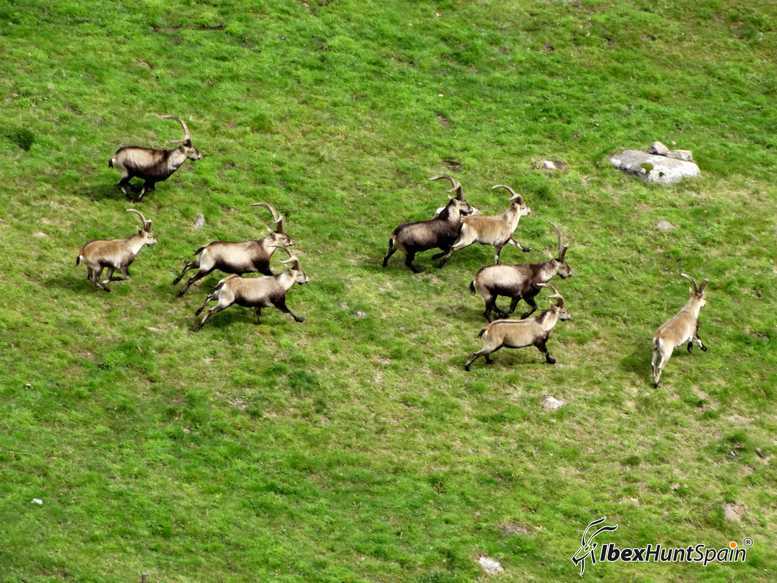 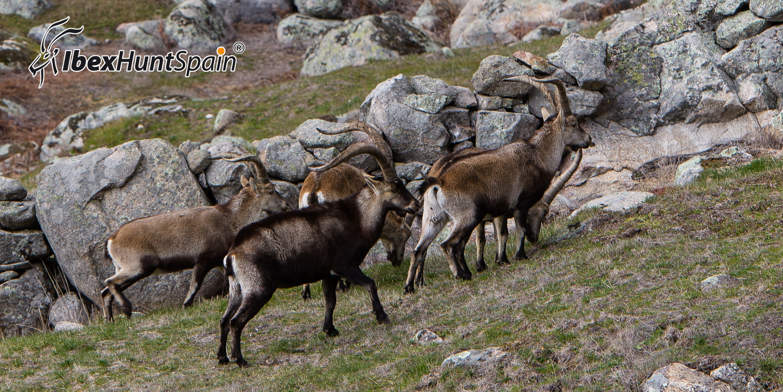 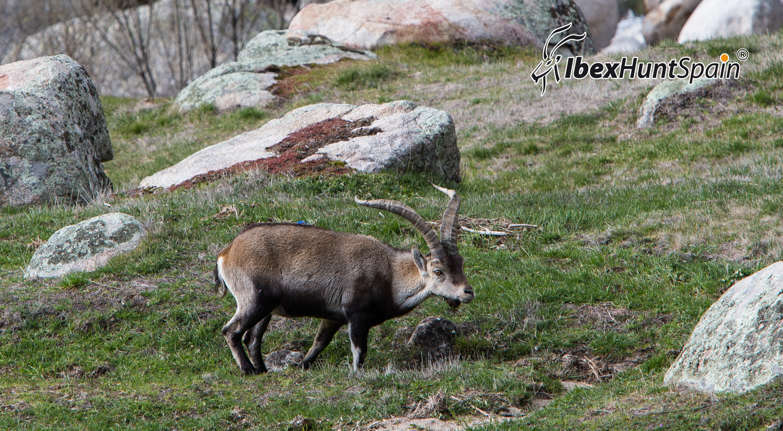 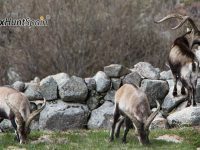 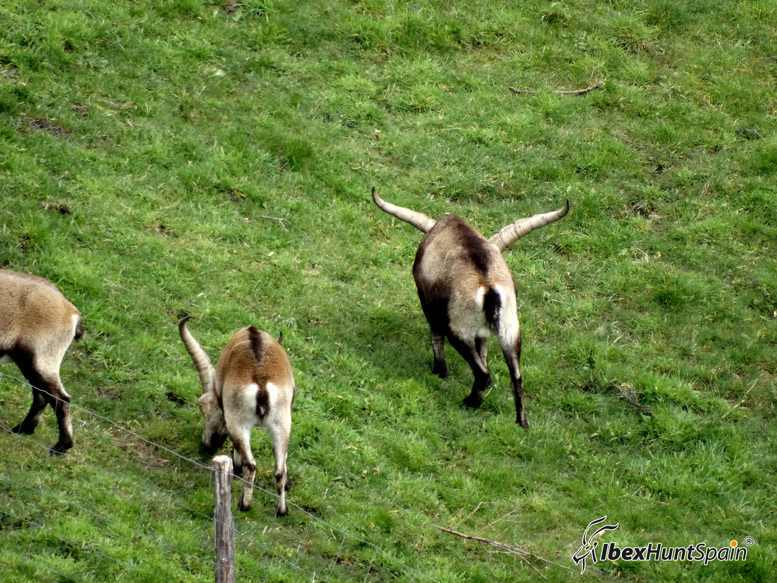 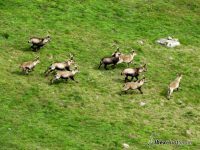 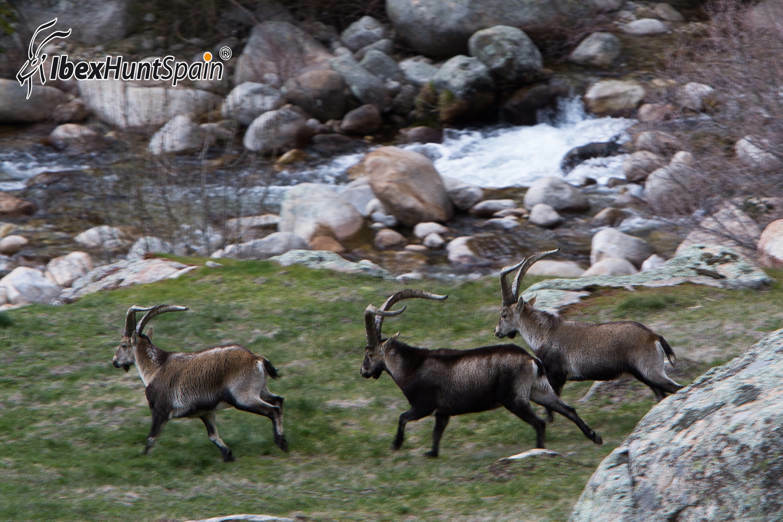 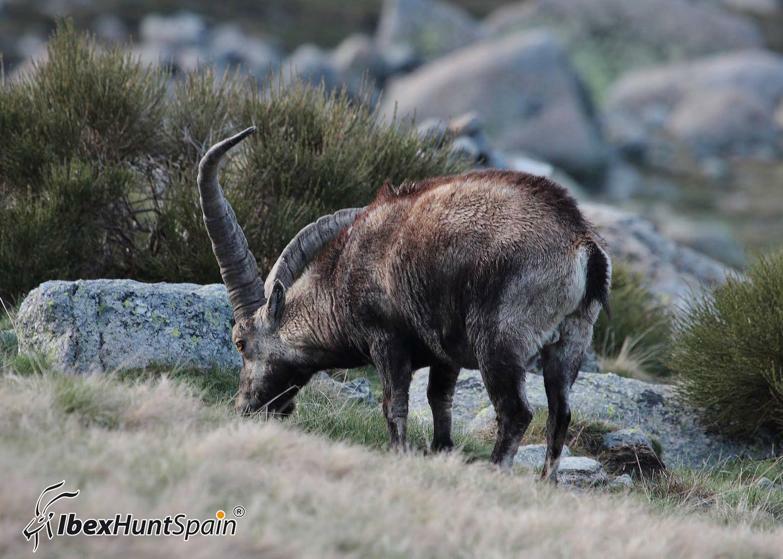 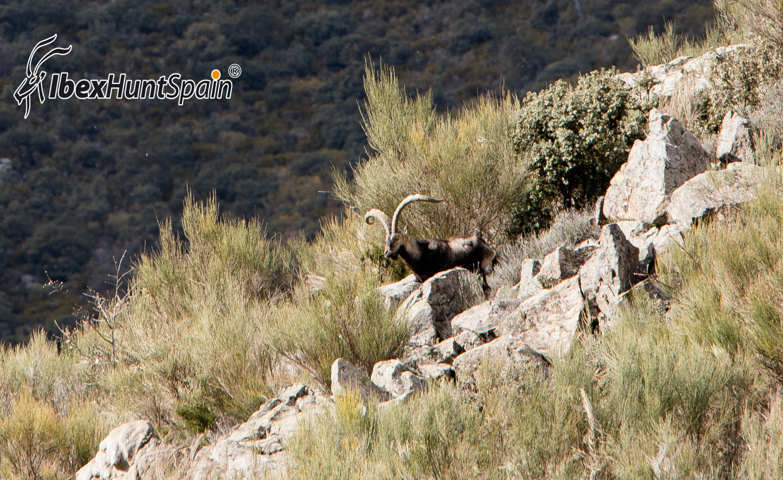 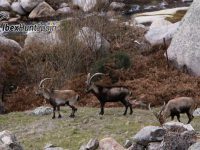 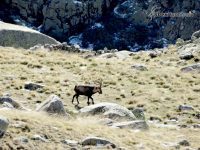 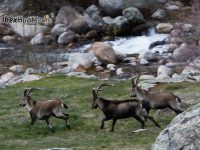 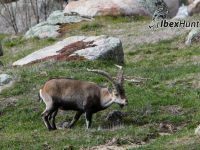 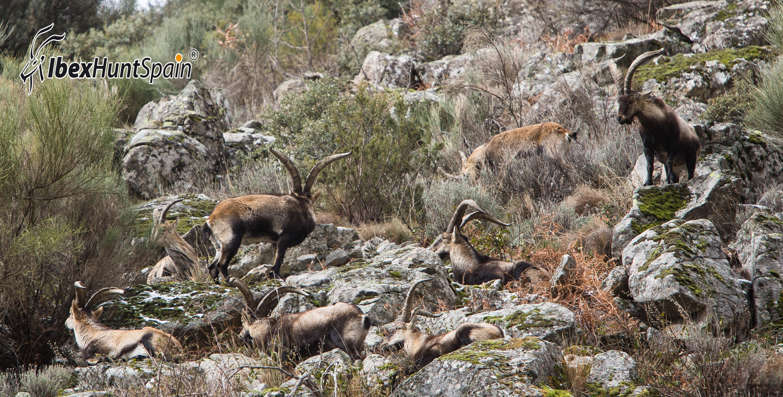 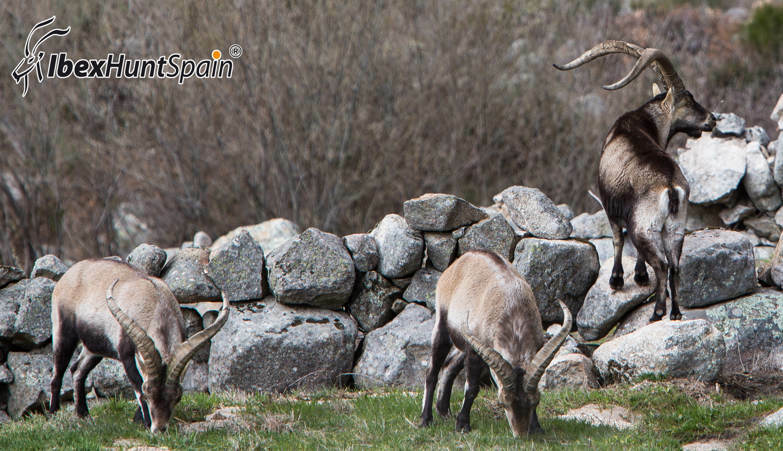 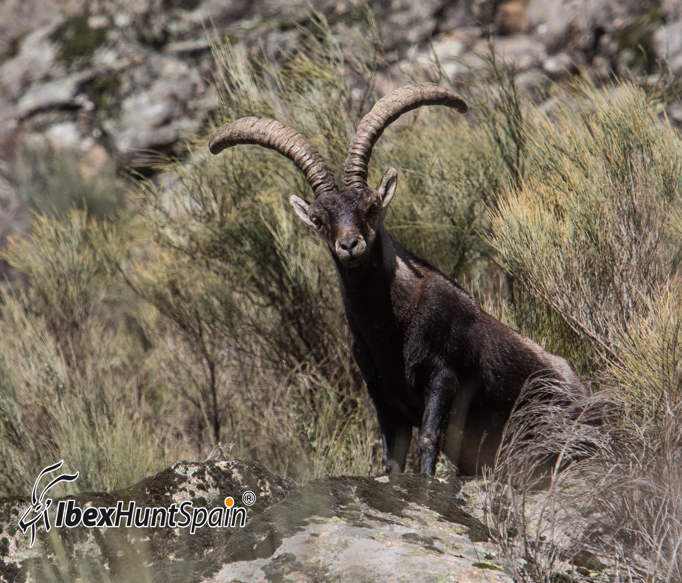 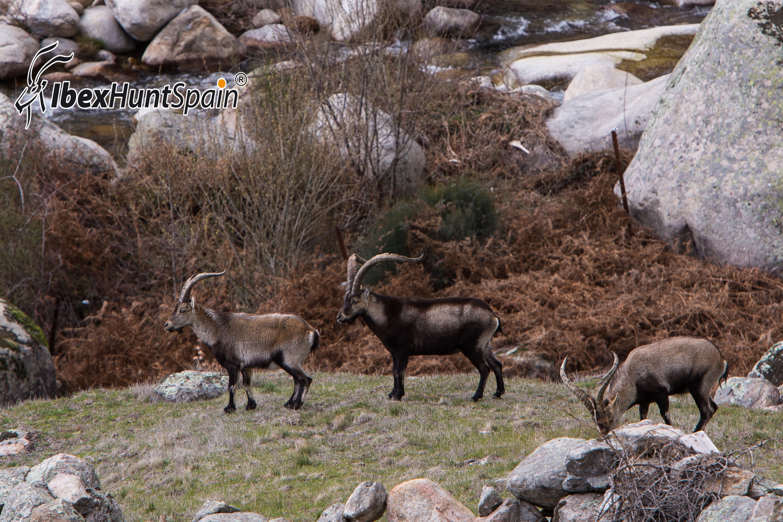 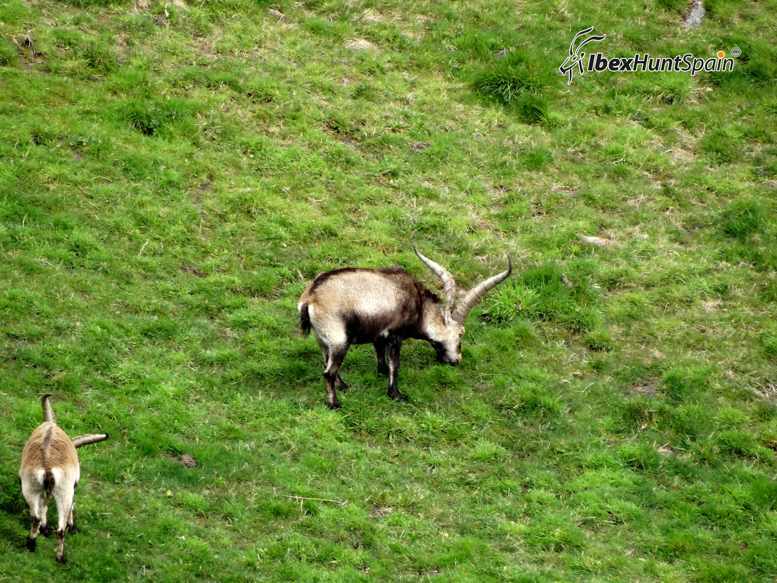 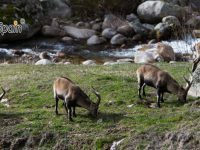 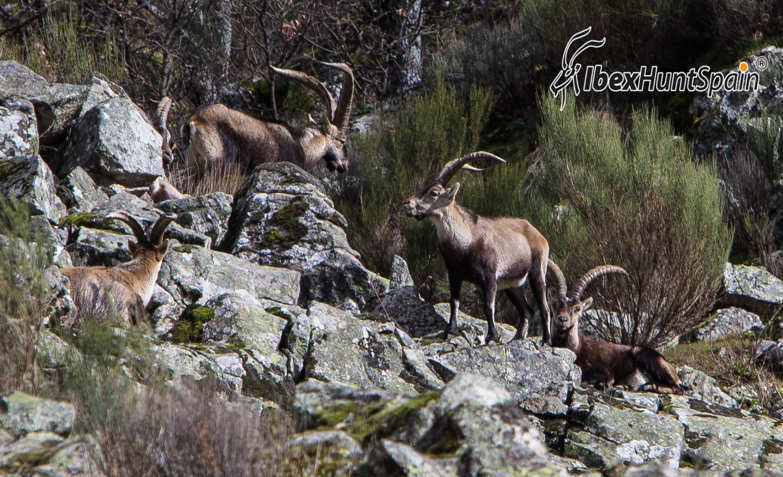 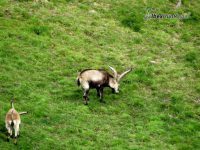 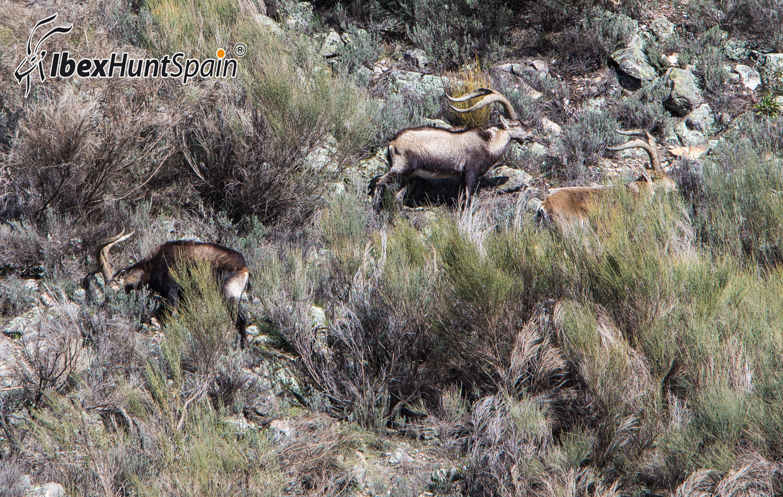 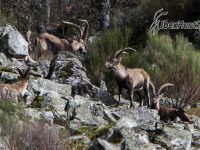 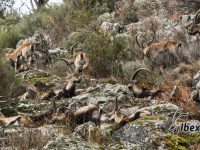 The Gredos Spanish Ibex lives in groups, in separate herds, one composed of females, kids and young males and another herd is composed of adult males. 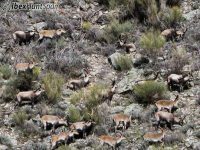 The male group only approaches the female group during the rutting season and it is at this time, (November – December), when spectacular fights can be seen between adult males for group hierarchy. 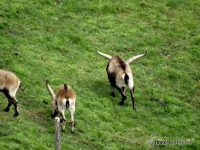 Females, after six months gestation, give birth to only one kid.